If you own a restaurant, you may be wondering what trends will start to surface for 2015. Fact is, many “new” trends are actually continued from 2014 and are gaining speed. They touch on all aspects of the business, from food to marketing to menus to tastes. Locally-sourced Food. 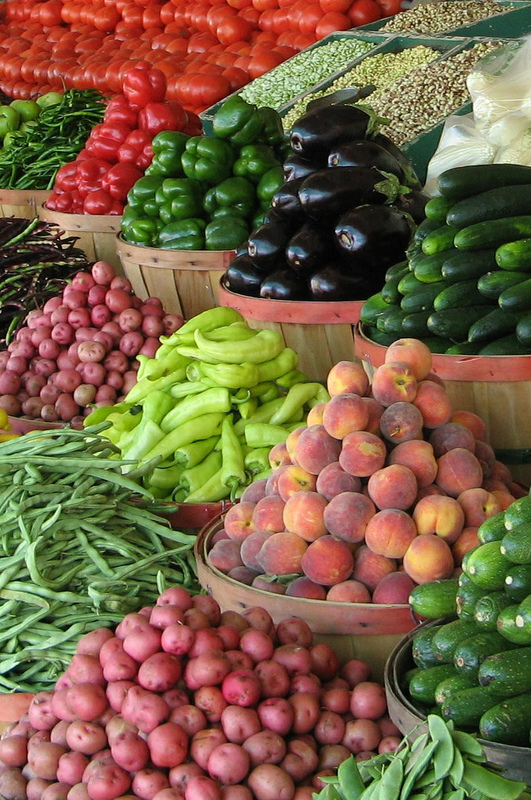 With the organic market taking off—you can even shop organic in your neighborhood grocery store—it’s not surprising that the farm-to-table movement has grown. 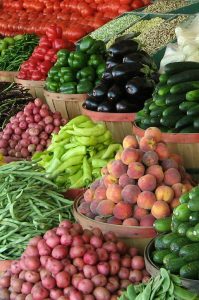 Be sure that you’re taking advantage of produce, meat, and other food that is local to your area. Supporting these businesses means that your customers will support them too! Promote Yourself. You can’t always rely on your customers to promote your business. But since as much as 70 percent of new business is gained from word-of-mouth, you can’t afford to lose your rightful share of the market. Pepper your restaurant with comment cards that survey diners, or ask them to leave a review on Yelp or Facebook if they enjoyed their experience. High-tech Help. Most eateries have a Facebook page, Twitter account, or website. Your restaurant should be easily accessible—just a click or two away on someone’s smart phone or tablet. Use apps like OpenTable or Wait Time so that your customers can get in line for their dining experience before they even walk onto your property. Healthier Choices. With so much emphasis being placed on health, it was going to affect people’s food sooner than later—and now it may influence the food that you prepare and serve in your restaurant. Some people prefer nutritious food to make up every part of their meal, instead of just having a salad at the beginning. Others may have dietary restrictions, such as gluten-free or sugar-free, while some cannot eat certain ingredients due to possible severe allergy reactions. Mash–ups. When your customers watch culinary TV shows, they are starting to see entire dinners placed on waffles, bacon put on cupcakes, and potatoes layered on pizza. Don’t turn up your nose—it’s a great tactic to get new folks in your doors! Just a few people raving about a mash-up meal will have everyone else wondering what the fuss is about. Bitter is Better. Everyone is talking about this—darker coffee and chocolate, hoppier beers, and vegetables like watercress, dandelion greens, kale, and endive are all coming back in style. Post a sampling on your menu and see if it gains traction! With 2015 poised to be a successful year for our industry, we suggest that you consider a few new concepts to keep your customers coming through your doors, and of course, pick up some new fans. The Hidden Shamrock Chooses Rustic Restaurant Furniture for Remodel! 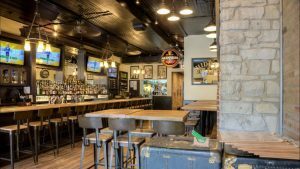 When Sean Griffin, General Manager of The Hidden Shamrock, started looking at remodeling he knew he wanted to incorporate reclaimed furniture into the new design. He began searching for the perfect fit for his traditional Irish bar located in Chicago, IL. Griffin soon became frustrated in his search. “I couldn’t find what I wanted and I was really put off by other prices” stated Griffin. Running out of options, he decided to try the National Restaurant Association Show, one of the biggest annual trade shows for the restaurant industry. It was there that he spotted East Coast Chair & Barstool’s display of reclaimed restaurant furniture and knew that his long search was over. “I loved your stuff and it was shockingly economical,” Said Griffin. He was pleased to purchase our reclaimed wood table tops and metal chairs with reclaimed wood seats. 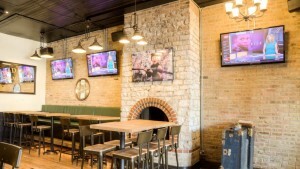 These products were able to create the rustic, homey atmosphere that he was going for in his restaurant and pub. He was finally able to create the aesthetic that he had been searching for during his remodel. When we asked him about his experience with remodeling, he told us it’s no picnic. Remodeling is a stressful process and needs to be a labor of love explained Griffin. Owners need to ask themselves if the change is going to enhance the guest experience better. If the answer is yes then do it, if the answer is no, then don’t. Thankfully he decided the reclaimed furniture was going to enrich the patron’s experience and he wasn’t wrong. “People can’t help but notice them,” Griffin explained. The seasoned general manager also recommends taking what you think you are going to spend and multiplying it by 1.3. Griffin acknowledged that the restaurant industry is full of surprises and it is better to be prepared for anything that might come your way. “I would use East Coast Chair & Barstool again. They do a good job and seem to have a good relationship with their Amish vendors who produce their quality reclaimed products.” said Griffin speaking of our Amish craftsmen. If you would like to incorporate rustic furniture into your restaurants design, these products and more can be found on the company’s website www.tableschairsbarstools.com. 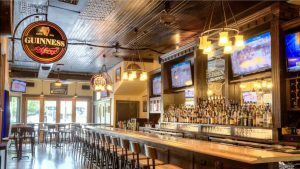 Posted on Dec 9, 2014 in News from East Coast Chair & Barstool, Restaurant Trends • Comments Off on The Hidden Shamrock Chooses Rustic Restaurant Furniture for Remodel!